Sunday Independent: Sean Davis, Enterprise Ireland's Director for North America, discusses the benefits to businesses that the latest marketing technologies offer. With an innovative patented solution that can join two pieces of wood together without the use of tools, glues or screws, Dundalk start-up Ovvo says it aims to take the frustration and the heartbreak out of flat pack furniture assembly. Ellen Caren is the COO and Co-Founder of Run Angel – an innovative connected audible personal safety wearable which is manufactured in the UK & Ireland. Horizon's podcast comes from Dublin where three technology leaders discuss the skills and opportunities Ireland has on offer, as well as Enterprise Ireland's support for the thriving start-up community. Enterprise Ireland client Orreco, a data analysis company that helps elite athletes optimise their performance, talks about the journey to success. Named as Start-up of the Week, Co. Kildare based company Funbakers have developed Silent Streets, a mobile detective adventure game with augmented reality features. Don’t limit yourself – that’s the advice from SwitchMetrics founder and CEO Lucy Friedman for fellow female entrepreneurs. 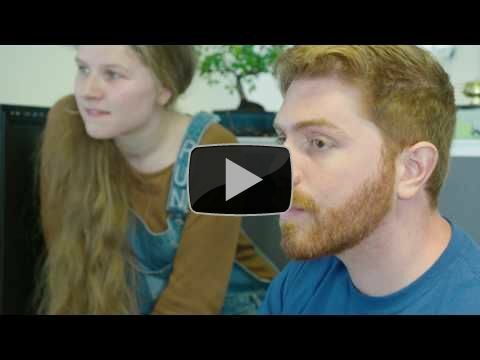 Eight start-ups have been shortlisted for the Irish leg of Start TLV, a major tech conference in Israel's Tel Aviv, with half of them led by women entrepreneurs. Michael O’Dwyer of start-up company Swiftcomply shares the details of his company's recent growth, with forthcoming expansion into the US and Canadian markets. Irish cloud business communications firm, Solgari, is helping UK fintech and financial services companies to fast-track MiFID II compliance ahead of the implementation deadline in 2018. Ireland: A cold place for entrepreneurs? Brian Caulfield shares his thoughts on the landscape of Irish entrepreneurship, singling out the work of Enterprise Ireland as a 'shining light of Irish industrial policy'. Enterprise Ireland's Carol Gibbons revisits three companies who pitched to investors on the Big Ideas stage in previous years - featuring Artomatix, nearForm and SoapboxLabs. The Enterprise Ireland Brexit SME Scorecard is a free planning tool for Irish exporters to the UK, designed to help you assess your business readiness across six key areas. Up to €5,000 is available for Enterprise Ireland client companies with the Be Prepared Grant, designed to help SMEs develop an action plan. Join 1,500 Founders, VC's and Executives in Dublin for SaaStock 2017, with a 30% discount available to Enterprise Ireland clients who wish to attend the event in September. 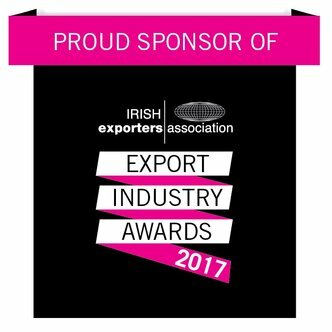 The Export Industry Awards recognise the remarkable achievements of companies working in the export industry. The High Potential Exporter Award category is open to Enterprise Ireland client companies only - enter now!